Me and a friend of mine have been having BIG troubles trying to install my HID kit in my car. We are SO close to completing the project, but we are confused about the final steps. You see, the HID lights I bought have BOTH high beam and low beam lights in one. There are two separate wires for the high beam and low beam lights. 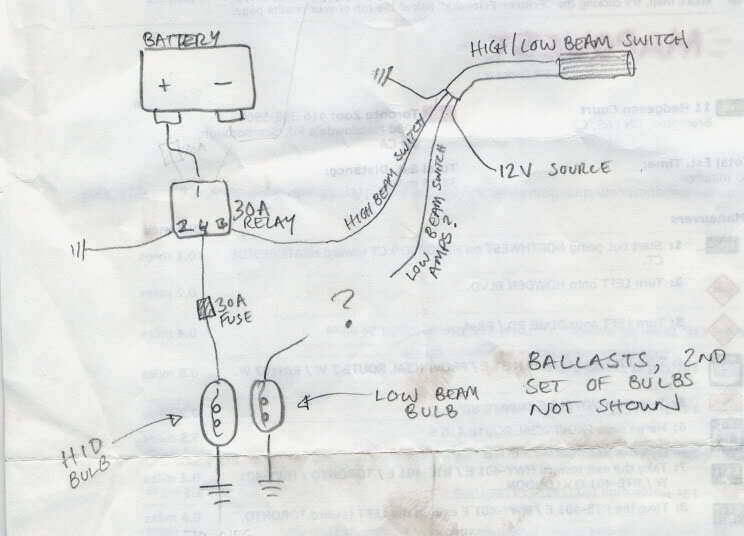 What we want to know is where are the wires that toggles the high beam and low beam lights to turn on so we can connect them directly to each of the wires on the bulb. I should also mention that the instructions that came with the kit were some of the worst instructions I've ever read in my life. The English was terrible and instructions themselves were very vague and illustrations did not help that much either. anyone else in the 416 having troubles with there bell sympatico? Anyone having troubles with their IPOD?